Your wedding day is going to be one-of-a-kind. You've carefully planned out every detail from the cake, to the ceremony venue, to what funky dance you'll do when you enter the reception. Nothing captures all of these details like video. 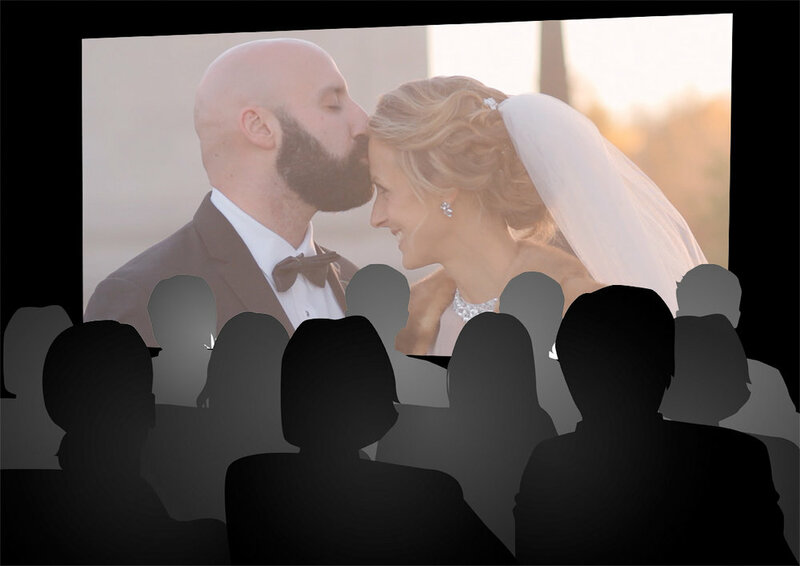 Our cinematic films compress all the best moments of your big day into a fun and emotional experience that your friends and family won't stop watching! The laughs, happy tears, dance moves, and every "WOW" moment of your day can live on forever and for everyone to watch over and over again. Weddings are stressful. There's so much going on all at once that you can miss the little things that make your day amazing! We're not only there to make sure those moments are captured in our artistic style, but to also help you relax, take a breath or two, and really enjoy and see your beautiful day the way our creative eyes do. We're with you from hair and makeup in the morning until you're dancing at night. We've seen it all, and every day turns out beautiful - and with a gorgeous wedding film to prove it! All of your closest friends and family have come together in one location for you, but they haven't seen how amazing your entire day has been. So, let's play your highlight for them... at the reception! This is the perfect surprise entertainment that never fails to amaze guests at the end of the night! Standard with every wedding film is our Prestige Collection flash drive. These gorgeous industrial wood and metal drives come custom engraved with your names and loaded with your edited content. This is the perfect keepsake for your freshly minted memories. We have an awesome option for those about to pop the question! We setup an elaborate covert plan based on the details of how you want the big moment to go down. After the shock and surprise of the proposal, surprise her again with a beautiful video that shows off just how perfect the whole day really was. Check out the video below to see how that looks! Your wedding day is a big deal. It's the day you've dreamed about since you were little, and it's finally almost here! While you've had years of anticipation building up to this day, it will come and go in the blink of an eye. And when the cake is eaten, the flowers wilted, and the tuxes returned, your photos (and video) will be that one investment you'll have for life - and it's an investment that only grows in value over time. Good photography should accomplish three things. 1.) It needs to capture all the special and important moments. 2.) It should include a level of timeless artistry that you're proud to hang on your wall. 3.) It should connect and resonate with you. We strive to craft a fun experience for our couples that also delivers those special and powerful images from their wedding day that they cherish forever. We've worked to perfect a blend of dramatic artwork and casual fun. When you spot one of our wedding art pieces, it immediately stands out and makes a statement. These are the images that you'll likely want for your wall. But we're also obsessed with capturing those real laughs and good times that make a wedding album so much fun to look through! We love hearing "Oh wow! I've never seen anything like this!" when a couple sees their powerful images, just as much as we love hearing "I had no idea the best man did THAT!" as they reminisce about the shenanigans of the day. We offer some of the finest quality albums and wall art in the industry. We believe your memories should be preserved in long lasting professional print with lasting elegance. Your flash drive provides a great digital backup of your images, but it's the experience of flipping through the thick pages of a handcrafted album that generations are going to enjoy. And while you may get a bunch of "likes" online as people casually scroll past your favorite images, displaying a large print in your home tells everyone who comes into your home that "this image is my favorite and I want you to take the time to enjoy it like I do." 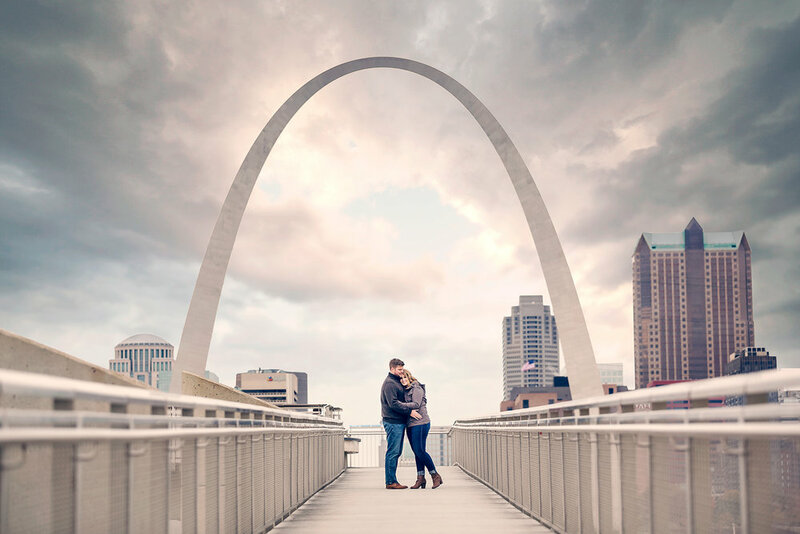 Our engagement shoots are fun, creative, and custom designed around your style and personality. We sit down with you and plan out all the details for an amazing session to create images and an experience you won't forget! This is an opportunity to really show off who you are as a couple. We want to create amazing artwork that matches your personalities and captures the love you share. Want to learn more about how we can take your wedding photography and video to the next level? Just send us a message or give us a call! Thank you! We'll be getting in touch with you soon about your big day!